Internet scam artists often use fake documents to promote their scams. The use of fake identification, certificates, and other documents lends credibility to their story and helps to convince you that they are telling the truth. When you believe the scammer’s story, you are more likely to become a paying victim. Many types of fake documents are used in email scams. 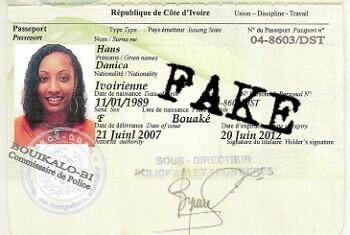 The most common are fake, altered, or stolen forms of identification. This may include drivers’ licenses, state or national identification cards, or credentials for banks, businesses, churches, charities, or other organizations. Scammers will often supplement their falsified proof of identity with falsified documents that seem to prove their claim. These documents may include certificates of assurance, payment contracts, business proposals, media articles, or even photo-shopped images. Since email scam artists often play different roles or characters in their scam, they will often use several fake documents to reinforce your belief in each character. For example, they may send a fake employee identification card for a banker or a business man from one email account, and send a fake certificate of sale or fake shipping documents from another email account pretending to be a courier. There are ways that you can identify a potential email scam attempt. The simplest and easiest way to recognize a fake document is to realize that legitimate businesses, charities, and government agencies will not send scans of personal identification via email. If you receive ID from someone via email, it is either stolen or fake. The same can be said for most certificates and documents. Look in a published phone directory and contact the business or agency which supposedly issued the document to verify. Internet con artists will often ask you to send them a copy of your drivers license, state or national identity card, passport, employee or student ID, or social security card. They do this in order to test your level of compliance, and also to obtain your personal details and identifying documents for their own re-use in other scams. The con artist might post your details on a website or include them in scam emails to other victims, or even adopt your identity as his own when carrying out his scams. It is important to protect your identity. You should never give personally identifying information to anyone whom you did not initiate contact with as part of a legitimate business transaction, and you should never send identifying documents via email. 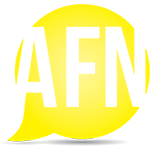 You can further protect yourself by verifying the contact details of any business or agency that you deal with in independent sources such as the business white or yellow pages, or a consumer protection agency such as the Better Business Bureau. If you are interested in looking at examples of fake documents used by scammers then you must visit 419Eater’s trophy room. Here you will find a whole host of fake documents and images that will give you a good idea as to what these scammers are capable (and sometimes totally incapable of doing). This article was posted in Blog and tagged fake documents used by scammers. Bookmark the permalink. Follow comments with the RSS feed for this post.Both comments and trackbacks are closed. ← Scammer tactics to keep you paying!